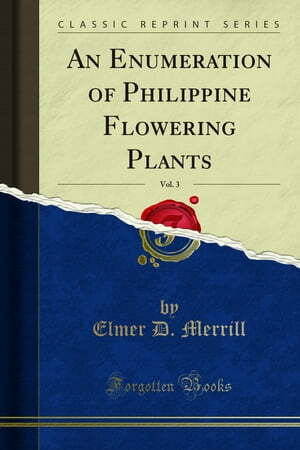 Collins Booksellers - An Enumeration of Philippine Flowering Plants by Elmer D. Merrill, 9780243783823. Buy this book online. Fascicle 1, pages 1 to 128, September 20, 1923. 2, pages 129 to 256, September 13, 1923. 3, pages 257 to 384, October 5, 1923. 4, pages 385 to 512, October 29, 1923. 5, pages 513 to 628, November 19, 1923.